These micro switches are designed to replace broken or malfunctioning parts in your existing kitchen equipment. They serve functions like preventing units from running while their door is open and turning appliances on and off. No matter what kind of business you own, these parts are must-have items in any establishment’s inventory of electrical parts. 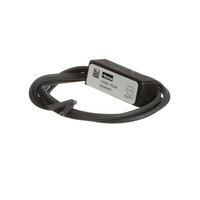 For related products, check out our transformers, timers, and terminal blocks. If you're wondering where to buy keating micro leaf, micro pin, and micro roller switches shown as grid listing, sorted by rating high to low, we have a large selection of keating micro leaf, micro pin, and micro roller switches shown as grid listing, sorted by rating high to low for sale at the lowest prices.